You have captured a certain ambience in this photograph, as though it has been plucked from thepages of a sizties or seventies magazine. 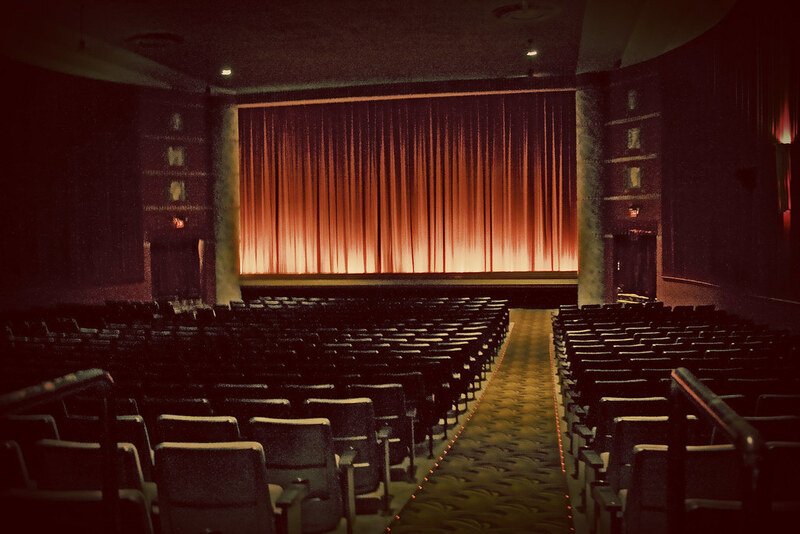 Exactly like the cinema I frequented as a child, the Well Hall odeon in Blackheath. As Paul said above you've captured an ambience of the past, I love the painterly effect you've achieved. Fun! Definitely love the effect, the past and present all rolled into one! that's so cool - is it a theater near you? I love old theaters with the curtains. really, really awesome pic...where was it taken? this takes me back to my home town...the theater was just like this! That old vintage hollywood feel! I remember how excited I would get when the boy I liked showed up haha! Good times! Love it!